Lukas Hradecky has joined Bayer Leverkusen from Eintracht Frankfurt this summer after one of the best seasons of his career to date. Now, with a DFB Cup winners medal in his pocket, the happy-go-lucky Finland international can keep living the dream in Leverkusen. But when the time is right, Hradecky knows how to be serious. After all, he has played in two DFB Cup finals in a row, winning one against Bayern Munich in 2017/18 with Frankfurt, and helped the Eagles to an eight-place finish. It’s a competition he’d love to win again with Leverkusen, and hopes the ambitions of his new teammates are on the same level. Confidence is brimming in Hradecky not just because of the cup success, but also his entire career to this point. The shot-stopper has been the successor of two Germany internationals with his pair of Bundesliga transfers, filling the gloves of Kevin Trapp in Frankfurt in 2015 and now Bernd Leno at Leverkusen. 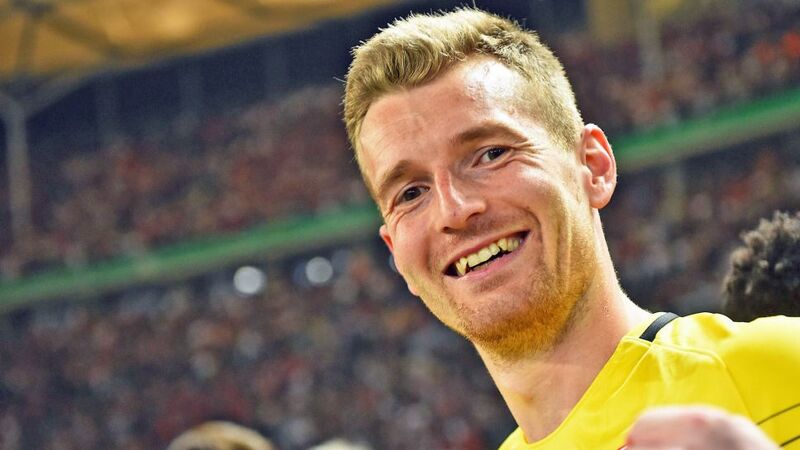 Watch: Hradecky's best Bundesliga saves! Hradecky says there were many reasons he joined Leverkusen, but none were based around his predecessor’s move to the English Premier League with Arsenal. “Of course that was a certain risk, but it wouldn’t have stopped me from moving here. If that had happened, we would have fought for the No.1 spot,” Hradecky said. “That's always the case in a good club. We have three good goalkeepers and you have to earn your place. In Frankfurt I managed to replace a very good goalkeeper, here Bernd was one of the best goalkeepers in the Bundesliga over the last seven years. And it has been his way which has brought him to Leverkusen. A young, vibrant team who excited many Bundesliga fans as well as their own in 2017/18. Playing an attacking style with the likes of Leon Bailey, Julian Brandt and Kai Havertz brings fans to their feet, but all great teams need a man between the sticks, keeping the ball out of the net. Click here for more Bayer Leverkusen news and features!